I was hoping the pictures would supply the words, but they are just sitting there.. silent. That is why green is so important as a conversation starter. LoML painted the whole house! Spectacular! 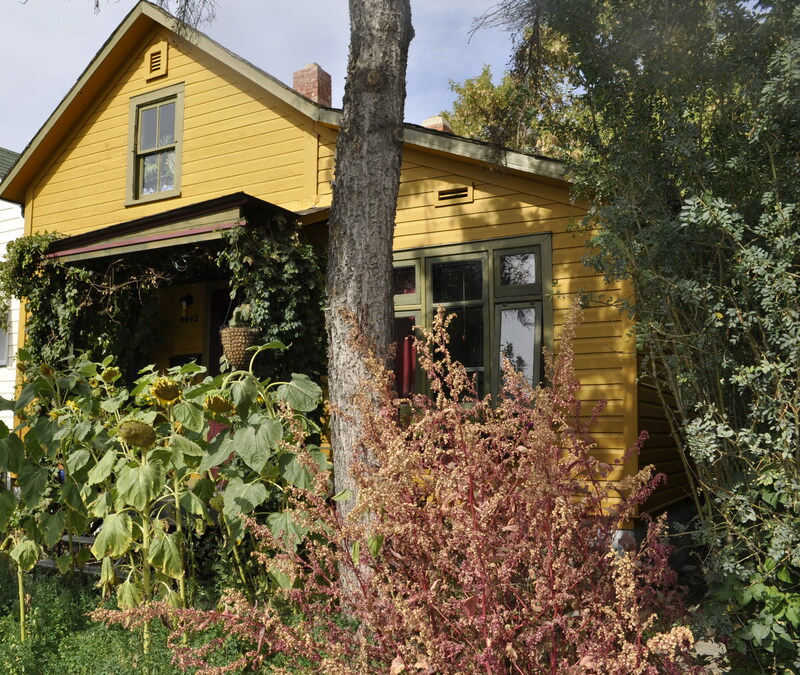 Sunflower, amaranth, alfalfa… cottage on the urban street. 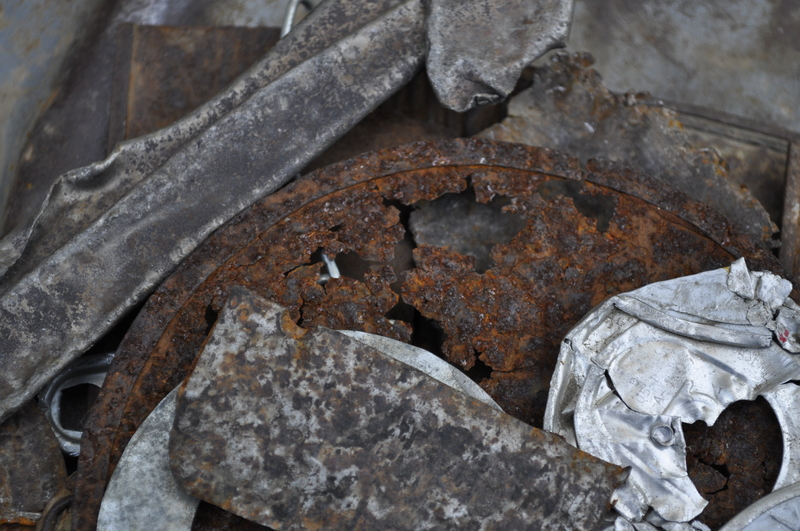 This is one in a series of photos of the metal bits that the famous artist, Lasko Scheliha, found on the streets while cycling. ~ by Elaine Berglund on 02/10/2011.